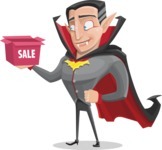 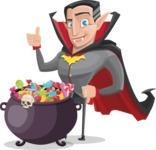 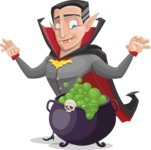 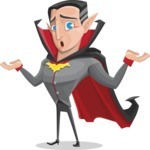 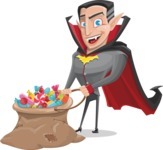 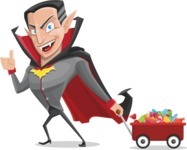 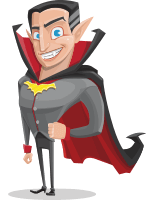 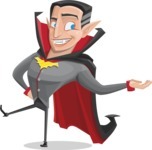 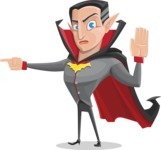 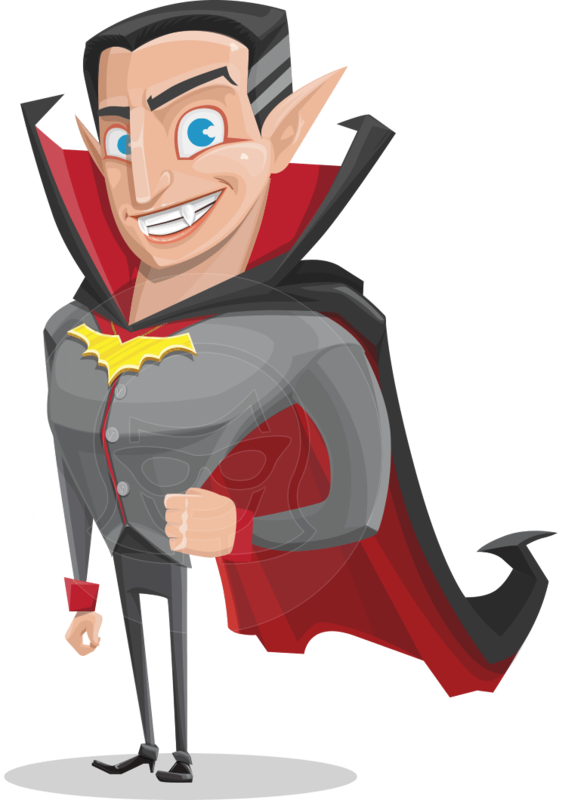 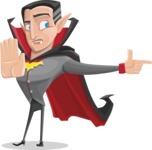 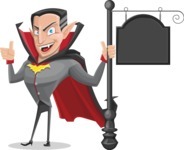 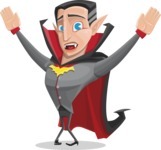 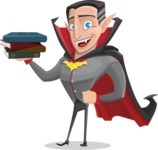 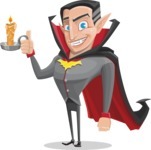 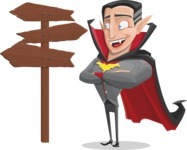 A funny male vampire cartoon character with muscular looks and a big-collar cape. 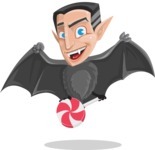 With his formal outfit Dark-on Bites loves to fly and do business during nighttime. 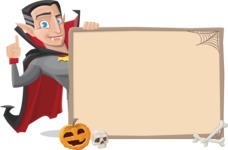 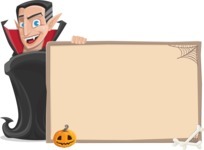 But know that if you put him in your Halloween project, he would be at your disposal 24/7. 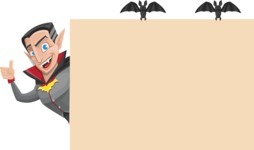 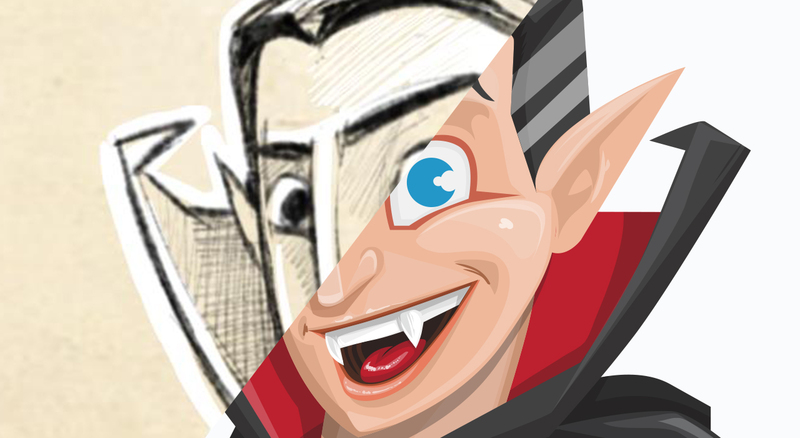 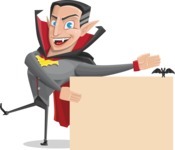 See how this funny vampire character was transformed from a Sketch design into a flawless vector graphic.